NEW OFFICE SPACE POSTED TODAY! 1,000 – 5,000 SQUARE FEET OFFICE SPACE IN ORANGE COUNTY. As a company occupying space, you are a customer / trader of office space. 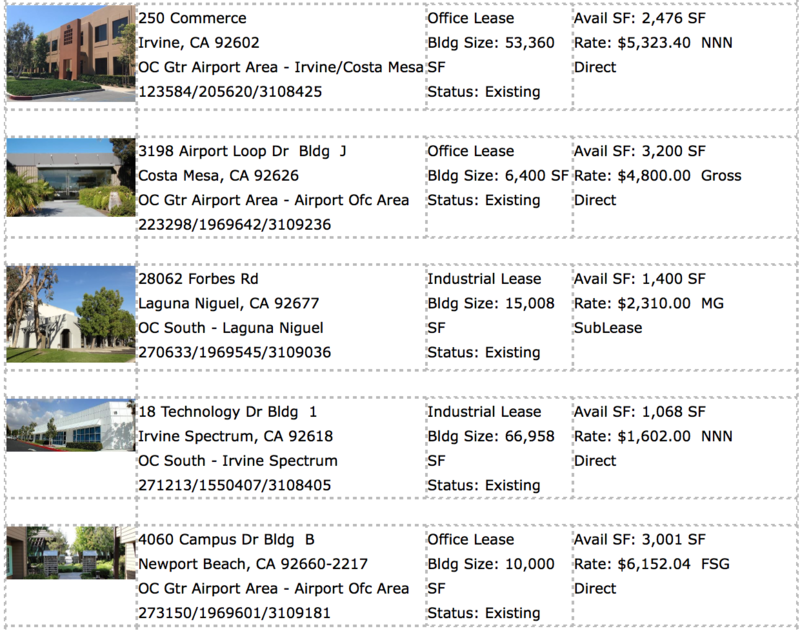 The Orange County office market has decent liquidity in the 1,000 to 5,000 square foot range. Space comes and goes everyday, therefore it’s best to consult with a licensed real estate broker, specializing in Orange County to help identify the best options! Since 2001 – I’ve helped hundreds of companies find, negotiate and secure the best office space for their needs. The listings below show today’s office space liquidity, available for lease! Disclosure: I do not represent the Landlords, nor have an exclusive listing to represent these properties. However, I am a licensed real estate broker and seek to represent companies in their pursuit of functional office space. The following items that match OFFICE HOT SHEET saved search were added to the CDX since 10/30/2017.